We service chain, screw and belt drive garage door openers of all brands and our solutions range from motor repair and remote replacement to the installation of a new unit. Leave garage door maintenance to us to save time and effort. Our job is to run full inspection and tests, to take care of cleaning and lubrication and to make preventive repairs. Count on us to replace broken garage door springs quickly and with maximum precision. We ensure that the spring system will work safely and reliably. For problems with the opener, spring or panels, hire our local garage door repair services to get effective solutions quickly. We replace broken hardware parts including cables and tracks and faulty electronic components like safety sensors. Our customers in California can rely on us for garage door installation and maintenance too. Our company offers a full set of garage door repair services including broken spring and lost remote replacement and opener repair. Give us a call now. “Garage Door Repair Hayward” is a professional provider of a variety of services relating to garage doors, operating out of Hayward. We deal with installations, upgrades and overhauls of new systems, general and routine maintenance to ensure that your current set-up stays in working order, and quick delivery on repairs for those systems that aren't working as they're supposed to. So if you have been on the lookout for a quality provider of garage door repair services that you can rely on to get the job done right, give us a call and speak to one of our highly trained technicians today. Our garage door company is committed to providing satisfied customers with the best possible services for residential garage doors. We will help you select the solutions that are right for you and your home and get to work installing them immediately with professionalism, focus, and accuracy to ensure that the job is done meticulously, thoroughly and in good time. Our staff has the technical know-how and experience to get the job done properly, and we will even supply you with any parts that need replacing in your system. We’ll change your door panels, safety cables, openers, tracks, and dutifully perform precise and reliable spring replacement. If you’ve had a bit of an accident and your door is suffering because of it, not to worry. Our team is happy to help you with door panel replacement which will ensure that your system maintains its integrity and does its job properly when it comes to upholding your home’s security. We are committed to making sure that every part of your system, electronic or not, is working to the best of its capacity at all times, come rain, sleet, accidents, rust or snow. We work on even the most complex of components, from the ever-important springs in your system, right down to the delicate and complicated garage door opener which is essentially the heart of your automatic system. Whatever is too far gone to be repaired can be replaced by one of our savvy technicians in a heart-beat, to ensure that the functionality of your garage door is always upheld to the best of its ability. So give us a call today to find out a little bit more about the various services we offer. Speak to one of our consultants for a quotation or advice, or take a look at our website for further information regarding the types of assistance that we can provide. 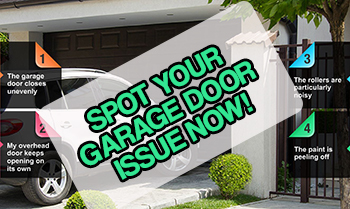 So remember, the next time your doors are giving you trouble, Garage Door Repair Hayward is here to help. Hire our expert garage door repair services in California today. We cater to customers in the 94545 zip code area and provide fast and dependable emergency assistance in addition to scheduled repair. Give us a call for more information!